In order to better prevent youth use of marijuana, CASFY is launching a postcard information campaign to increase adults’ awareness of marijuana’s effects on youth. Nearly 1,000 parents and community members will receive a series of 6 postcards in the mail over the next few months. You will also see these cards on social media and in other communications. 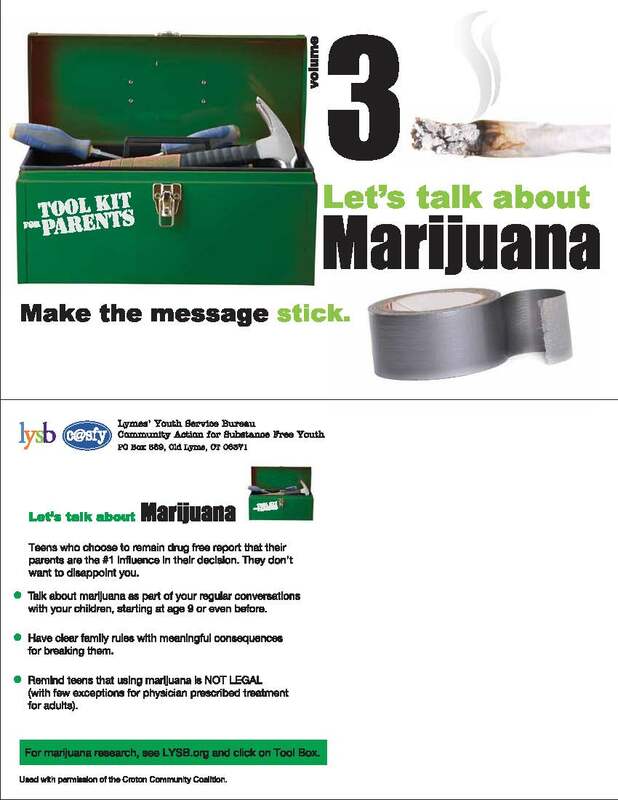 Recent data from our youth indicate a decreasing perception that marijuana can be harmful and a drastic reduction in disapproval of peer use. 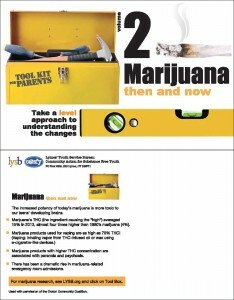 Further, our youth are starting to use marijuana at a younger age. The average age of first use in L/OL is 14.0 years on our most recent youth survey, a decrease from 14.6 in just two years. 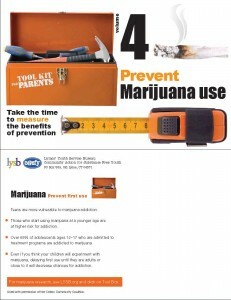 All of these factors predict an increase in use over time. These troubling indicators led us to launch this campaign. 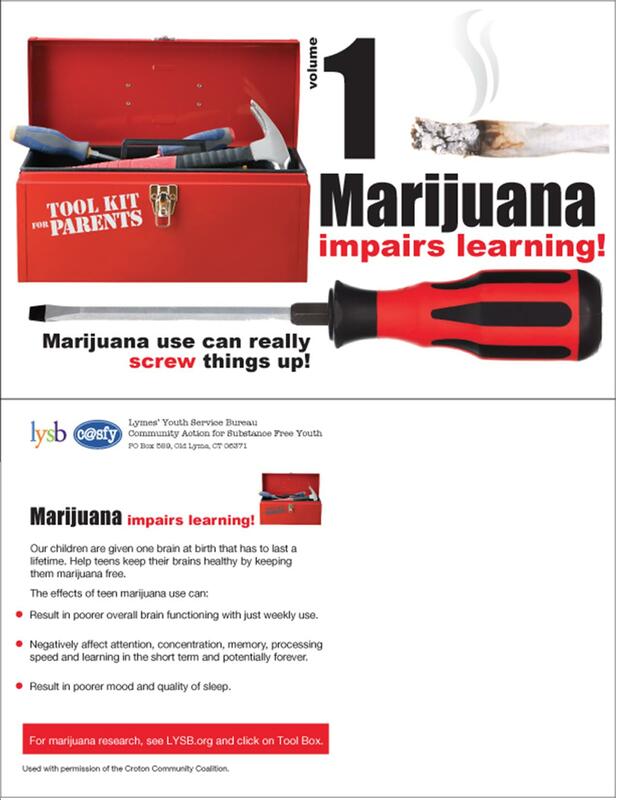 We invite you to learn more about the postcards on our website, including marijuana research and survey data. 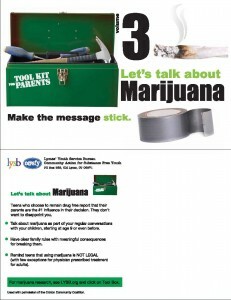 Please talk with your teens and younger children about the risks of marijuana. By Ramesh, Schlosburg, Wiebelhaus, Lichtmann. Recreational marijuana users’ brains abnormally altered for at least two structural measures-density, shape, volume. Alterations directly linked to amount of marijuana smoked. Considering Cannabis: The effects of regular cannabis use on neurocognition in adolescents and young adults. Effects on performance, short-term adverse health effects, long-term adverse health effects, addiction, drug testing.